As a Scientist/Mathematics buff/Puzzle enthusiast, I love patterns and series. 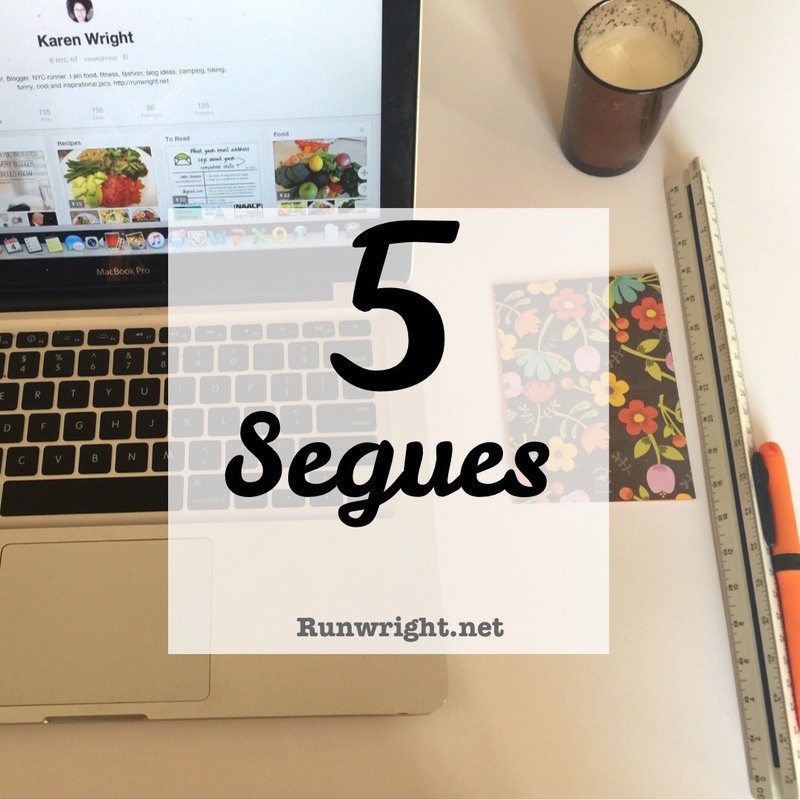 As a writer, I love expressing that as segues. Today, I’m thinking about 5 things that are connected somehow. Pinterest. I’m late to the party. I’ve had a pretty stagnant Pinterest account for a while now but a few weeks ago, I made some new blog friends and started checking out their pins and… Man, I’ve been missing out. Pinterest is like electronic hoarding. Now I just hope Pinterest decluttering doesn’t become a thing. I’ve fallen in love with journal and planner boards, I have a board for clothes, food and of course, writing tips. Check out my Pins here. Speaking of writing tips. I didn’t tell you officially. I reached my NaNoWriMo goal. 55,000 words in a month. I felt super accomplished when I was done but that’s only the first draft. I have a lot of the scenes written now but there’s still a lot to write, lots of details to finish, a couple characters who right now are a little schizophrenic because they way they appear in the beginning, the middle and the end are all different, even though the growth/transition isn’t evident. I plan to keep working on it through December so I can get it to some beta readers by early January. Speaking of December to January transition, let’s talk about Christmas. I am postponing Christmas this year. I have some goals that I’d planned to accomplish by Christmas that I am nowhere near ready to complete. Christmas shopping/gift making is at the top of that list. I have zero gifts ready at this point. The only saving grace – I still have wrapping paper and gift boxes and cards and stickers and random gift tag supplies from last year. There are benefits to being a semi hoarder! And now for the final segue… Speaking of mail … I got some awesome things in the mail this week. Like these Avon boxes with Christmas goodies. I might be winning with Christmas shopping after all. Shop the 12 Days of Deals on my website here. What’s on your mind this week? What are you looking forward to this weekend? This first weekend in December is a big birthday weekend for 3 of my friends so I’ll be celebrating life! Hello friend! Sorry I haven’t been commenting on your posts lately. I have been reading them! Ahhhh Pinterest. It’s therapeutic to pin all the things and stressful to do most of them. Why is that? So glad you joined the ranks! I will friend you if we aren’t already. I’m inspired by your challenge, mind if I join you? Things srsly pile up around here. Hey Rebecca. Thanks so much for the comment. Please join in. 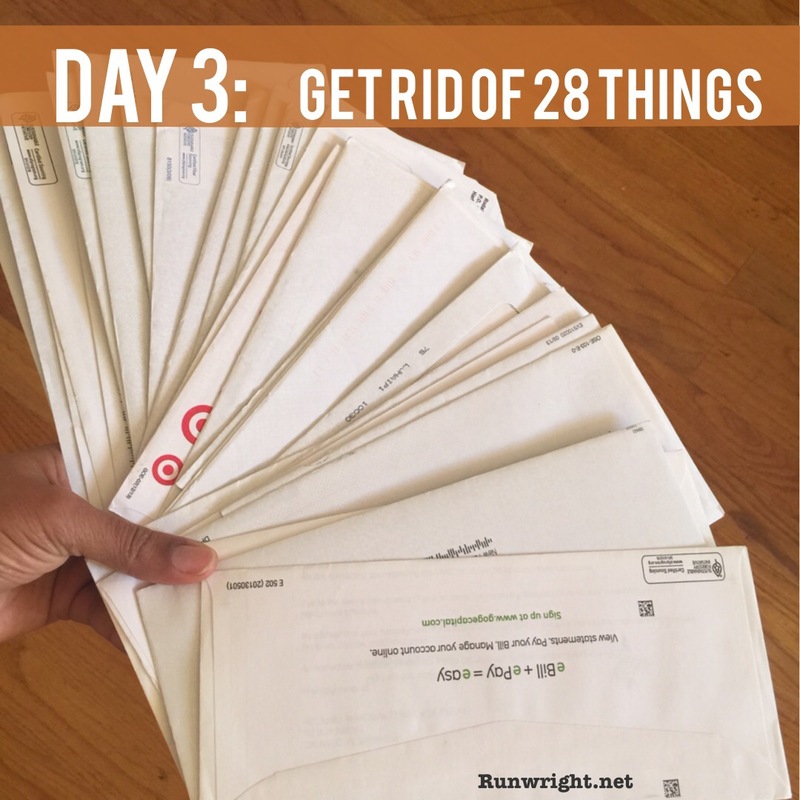 I’d love to see what you’re getting rid of this month. Start with 30 items and decrease the number every day. 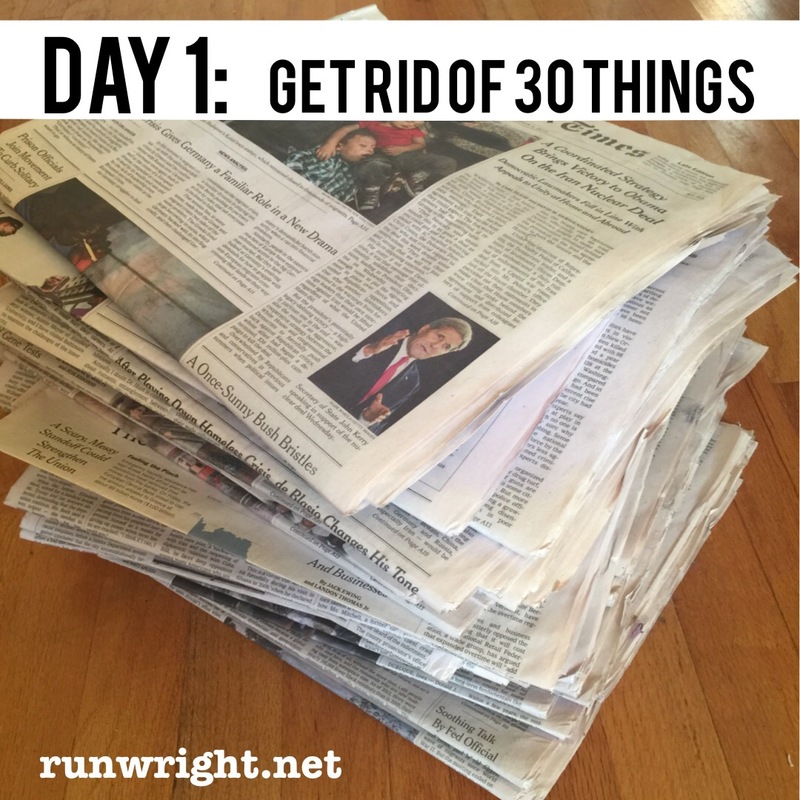 The official challenge starts on the first of the month but I think any time is a good time to start a challenge, especially a decluttering one. Thanks for the Pinterest follow. I followed back of course. Your pins are gorgeous! Congratulations on completing NaNoWriMo!!! I love the decluttering challenge. 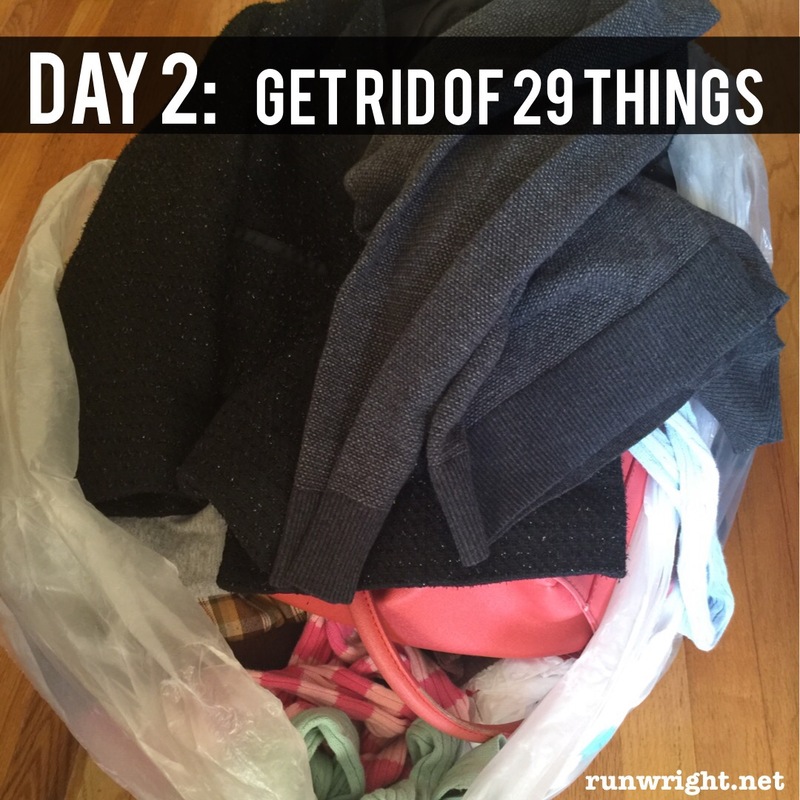 I set out to get rid of 30 things during the month of November and I was successful, but it still doesn’t feel like enough. I need to take another hard look at my wardrobe and the stacks of papers and craft supplies I have stored away! Thanks, Donna. Good for you for getting rid of 30 things last month. This one is more intense to get rid of 30 things in one DAY. But i am finding it was easy to whittle down. I read Marie Kondo’s book, “The Life changing magic of tidying up” and I am trying to really pare down until I have only the things that i absolutely need and the things that give me joy to have around. Donna, I tried to comment on your blog and I couldn’t but I’m following your social media now. Yay for reaching your nano writing goal! Im proud of all those who have done that! You are speaking my language- decluttering! I need several good clean out sessions at my house and in my closet. Stuff gets to be overwhelming! I chuckled at electronic hoarding. That has become a thing these days too, omg, trying to keep pictures alone organized is time consuming. I love Pintrest. There are so many great ideas you can find on there. Have a great wkend celebrating friends bday a. Thanks, Lacey. I had a great weekend. How about you? Found you through the blog hop, I love your post! Congrats on winning NaNoWriMo (I won, too! ), that’s a huge confidence booster! Plus, I’m definitely with you on needing to push Christmas… there’s way too many things that need to get done before the big day. Have a fun birthday weekend! Hey Alexa. Thanks for all the blog love. Glad to meet you and I’ll be following you back. Congrats on your NaNoWriMo win too. Did you start editing yet? I love your declutter challenge. Heavens (and earth) knows I have tons that can go to someone else. No matter how much I get rid of, I always seems to have more to throw out. I recently decided that I will no longer hold on to the clothes that don’t fit me now (unless I really, really, really love it). I’m saving them because I don’t want to have to buy more when I loose the weight (and I will!). Sadly, for me, that is coming from a scarcity mind-set. I don’t want to have to spend the money. Instead, I will adopt a abundant mindset and know that God will provide new clothes for my new weight (when I get back there), just like there was provision when I got to this new weight. AS ALWAYS – you inspire me. Love you loads! on writing 55k words! You rock! I nominate me as a beta reader.